Caminito del Rey from Seville day trip tickets included. Join us and enjoy a visit to the ‘Caminito del Rey’ in Málaga setting off from Seville in private transport and accompanied by a local guide. Join us for a one-day trip across one of the most spectacular natural environments in Andalusia. The ‘Caminito del Rey’ was reopened to the public in 2015 and has now became one of the highest-rated adventure activities in Spain. Our one-day trip to Caminito del Rey from Seville will start at around 9:00 in the morning. You will be picked up from your accommodation in Seville or from an easily accessible meeting point. Then we will drive to the province of Malaga. In less than 2 hours we will arrive in Ardales, a little village in the province of Malaga where the Caminito del Rey starts. After being given some safety advices by our local guide, we will start our guided tour in the ‘Caminito del Rey’ at around 11:30 in the morning. Accompanied by our local guide, we will be walking along this famous footbridge that is suspended in the ‘Desfiladero de los Gaitanes’ at a height of about 100 meters. We will also walk along one of the most spectacular paths in Europe. Because of the many years of disuse and deterioration, the place became quite dangerous causing many accidents as a result. In March 2015, it was finally restored and reopened to the public. We will enjoy a 7 km tour with no risks. Its gorges as well as its natural environment will give us the opportunity to take amazing pictures. 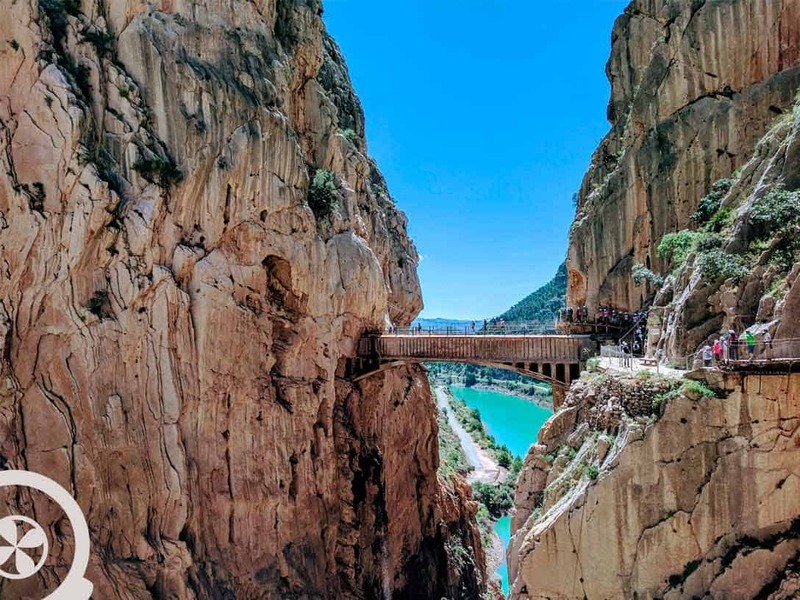 By walking along this famous path and enjoying the spectacular natural landscapes of its surroundings, we will get familiar with the history of the Caminito del Rey, which it was inaugurated by Alfonso XIII in the early 1920s. After lunch and a short break for leisure we will start our journey back to Seville where we will expect to arrive at around 19:00 in the afternoon after having enjoyed a marvellous experience in an incredible natural environment. It includes: Private transport from your accommodation in Seville, Caminito del Rey tickets. Local guide who will accompany us permanently and a free travel insurance. Minimun age: 7 years old. Cancelations: Free cancellation up to 24 hours the start time. Very nice tour without risk. Our guide was very friendly. The restaurant where we ate, had beautiful views and an abundant menu. Thank you. El Caminito del Rey worth to experience. Recommend warmly this company. We were in Seville and looking for Caminito del Rey tickets and finally we go with this organized trip, also because is very difficult to get the tickets by yourself. So we decided make this trip and it was a really fantastic idea and it was worth every penny. This guided trip was one of the best experiences I’ve had in years. At every turn you will see a amazing landscape. Thank you so much!